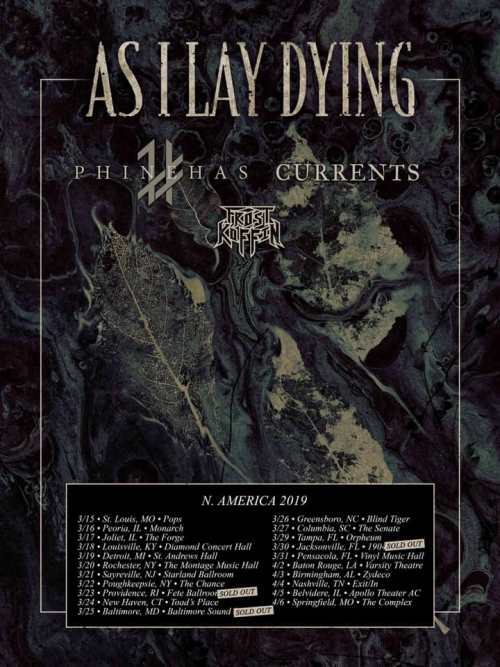 Phinehas, Currents, and Frost Koffin have been confirmed as the openers for As I Lay Dying’s upcoming U.S. tour. 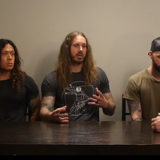 Since the tour’s announcement, public outcry over As I Lay Dying frontman Tim Lambesis’ past crime resulted in the April 5th show in Memphis, TN cancelled. It has been replaced with an appearance at the Apollo Theater in Belvidere, IL. 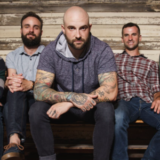 Additionally, a handful of shows have already sold out. The revised itinerary can be found below.